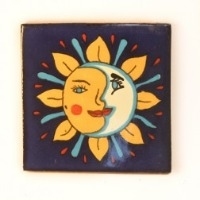 Our tiles are handmade and handpainted in Mexico. We only use companies who guarantee a fair wage and good conditions to their workers. 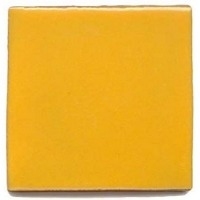 The edges of each tile are unglazed terracotta. 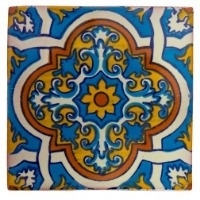 Due to the handmade nature of this item, the edges are not completely straight and there may be some small nicks or occlusions. we think this adds to their character and hope you do too! PLEASE NOTE: The tiles marked with an asterisk (*) after their number are very slightly smaller than the other tiles. If you are using a lot of grout, this should not be a problem, otherwise, please be aware of this difference.